Illinois State's spring commencement ceremonies are May 11 and 12, 2018. Congratulations to the Class of 2018! You have now joined the proud ranks of Illinois State University alumni—215,000 strong and growing. The Alumni Association wants to leave you with some quick tips on how to fully take advantage of your new status as a Redbird alum. So without further ado and in no particular order, here are the 10 things every new Illinois State grad should know. 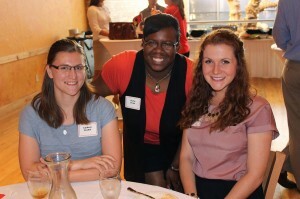 Central Illinois Young Alumni at a summer kickoff event. Were you involved in a bunch of student groups on campus? Then stay involved as an alum too. Illinois State alums have organized a long and growing list of affinity-based alumni networks, such as the young alumni networks in both Chicago and Central Illinois, Latin@ Alumni Network, Black Colleagues Association, LGBTQA, and many college and department-based networks. And if life takes you beyond Chicago and Bloomington-Normal, we have regional networks located all across the country! 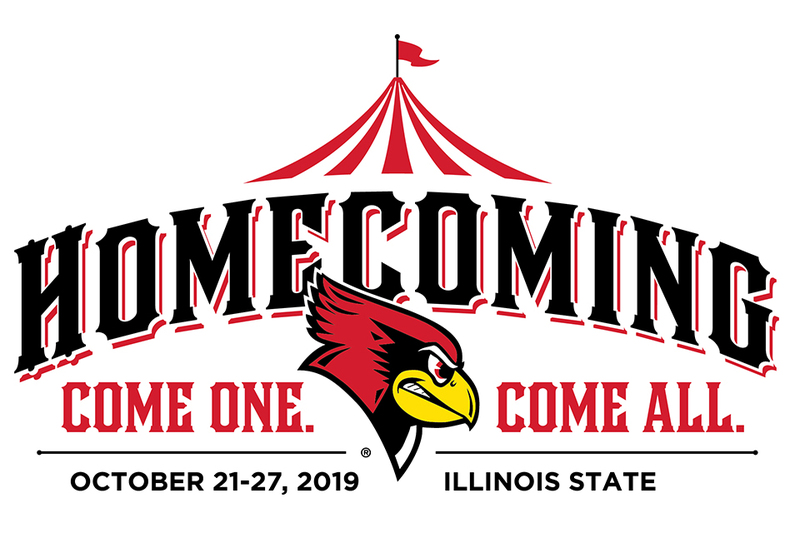 These alumni groups get together for Redbird Athletics games and watch parties, host special events, and raise money for student scholarships. Don’t let Homecoming be the only time you visit campus each year. 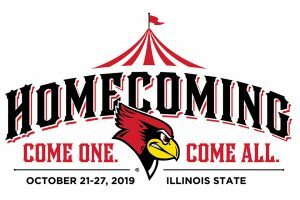 (Homecoming 2019 is October 21-27, by the way.) Come back to visit anytime, and stop at the Alumni Center first to meet the Alumni Engagement staff and get the latest info on campus events. Also mark your calendars now to join fellow alumni in Chicago for the Illinois State/Loyola basketball watch party on January 12 or stop by our Redbird party before the team takes on Bradley in Peoria on January 23. Moving back to Chicago? Then swing by Illinois State’s Chicago Office downtown on North Michigan Avenue. Rent a room, host an event, or just use it as a drop-in spot. Illinois State’s Career Center isn’t just for students. The Career Center offers various services to alumni to provide you with additional job-hunting help. Many employers will ask to see an official transcript before hiring. To order your transcript online or in person, visit the Office of the University Registrar. Spring grades will be available on the transcripts beginning December 20. Choose the “Hold for Degree” option if you are earning a degree this semester and want your degree to appear on your transcript. Insured graduating students who will not be enrolled in classes during the following term may continue coverage for one additional term. Insured full-time students graduating in December are eligible to purchase spring coverage by applying through My.IllinoisState.edu until January 28, 2019. For more information on extending student insurance, contact Student Health Insurance. The cover of a recent alumni magazine. 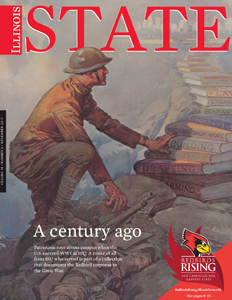 Good news: As an alum, you’re officially a subscriber to the award-winning alumni magazine, Illinois State, sent out three times a year. Next issue comes out in April, but we can’t mail it unless we have your new address. Update your contact information today and we’ll get you on the magazine mailing list. Also be sure to update your email (as your university email account will be discontinued six months after your graduation date) to receive university news updates and alumni event information. Learning never stops after you graduate. Your Alumni Association makes sure you can continue to grow and network no matter where you are in the world. Join the Illinois State online alumni book club where you will discuss topics covering lifelong learning topics related to professional development and personal growth. Check out the full list (and find your college or department) on our Social Media Directory. I enjoyed studying at Illinois State University. As a Graduate student , majoring in Information Systems and Technology, I liked the reading hours at Milner Library, the Computer Labs for research and projects and the walks through the Quad..
As this year’s President of the Alumni Association Board of Directors, I’d like to congratulate you on your graduation and welcome you to our great Alumni Association! Go Redbirds! !